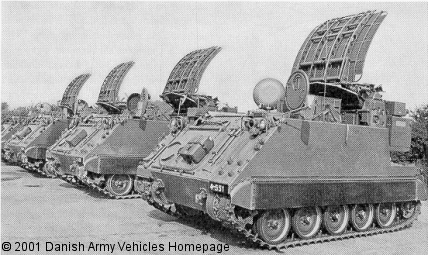 6 Green Archer mortar locating radar's were implemented 1964. 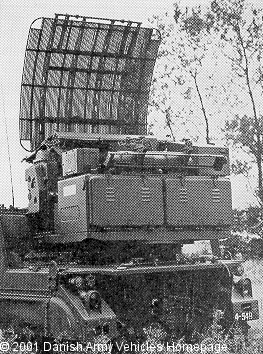 The M113 vehicle, which is a special Danish/German version, is mounted with a British radar system made by EMI, capable of locating positions of mortars up to 30 km. It could also be used to adjust counter battery fire and had a limited surface surveillance capability. The exhaust-system has been altered to prevent interference with the radar. Operation of the system required a 3-man crew. The system has been replaced by a system named ARTHUR.